JW Marriott Hotel Chongqing, Meeting Best - Biggest meeting management technology company in China with best meeting solution. A Powerful SymbolJW Marriott Hotel ChongqingChongqing's Downtown Area. 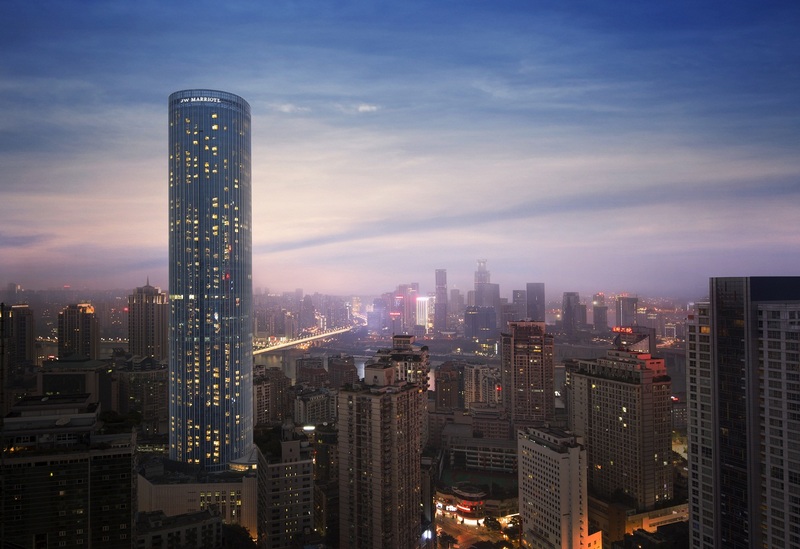 Located In The Business District Of West China's Commercial Center, JW Marriott Hotel Chongqing Marriott Hotel Is Patronized By Leisure Professionals And Prominent Members Of The International Business Community. Making A Strong First Impression,JW Marriott Hotel Chongqing Lobby Is Seductively Poised With Towering Palms, Cascading Staircases And Recessed Lighting That Supports A General Feeling Of Ambience. The New Haunt Among Business Professionals, JW Marriott Hotel Chongqing Imposing Member Of The Marriott Family Features A Host Of Corporate-class Amenities Including Seven Conference Rooms Totaling 7,700-Sq-ft Of Function Space, Computer Rentals, Currency Exchange, A Business Library And High- Speed Wireless Internet Access. For Guests With Leisure Motives, The Property Boasts Indoor/Outdoor Pools, A Full-service Health Spa And Fitness Center, A Beauty Salon And Gift Shopping. With Four Restaurants On-site, Dining Is Clearly Something That JW Marriott Hotel ChongqingApproaches With Seriousness And Expert Enthusiasm.The Bao Lin Xuan Offers An Elegant Atmosphere Where Jade Sculptures And Native Asian Artifacts Create An Authentic Environment For Regional Chinese Specialties. Also Noteworthy, The Manhattan Steakhouse Treats Guests To Only The Finest Steaks, Seafood And Wine List, In A Thrilling Milieu On The 39th Floor. Presenting Guests With Accommodations That Overlook The City And River,JW Marriott Hotel Chongqing Offers 474 Guestrooms And 26 Suites That Are Fashionably Equipped To Contend With Both Business And Leisure Agendas. With Mood Lighting, Contemporary Furniture Ensembles And Bold Touches Of Urban Decor, The Guestrooms Encourage A Sense Of Metropolitan Cheer.